FLS-3 fluidized granulators are widely used in pharmaceutical, foodstuff, chemical and other industries. The process of mixing, granulating and drying can be totally completed by the fluidized granulator. 1.Pharmaceutical industry: tablets, dissolved medicines, capsules. 2.Coating: granules, pills' protection layer, formulated color, slow release, thin film, enteric coating. 3.Foodstuff industry: coffee, cocoa powder, milk powder, granular juice, condiments. 4.Other industries: pesticides, fodders, chemical fertilizer, pigment, dyestuff. 5.Drying of wet materials in powder or granule shape. 1.The powder granulation can improve liquidity and reduce dust emissions. 2.The powder granulation can improve solubility property. 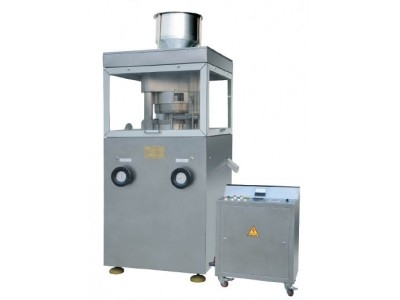 3.The process of mixing, granulating and drying can be totally completed by this machine. 4.Anti-static filtering cloth is used to achieve safe operation of equipment. 5.The pressure relief hole is equipped, so that the machine and the stuff won't be hurt, if an explosion occurred. 6.There is no dead angle in the machine. It is convenient to load, unload and clean. The machine meets the requirements of GMP. 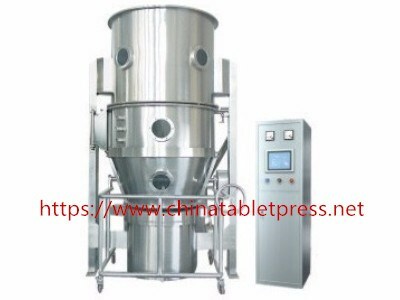 The fluidized granulators are widely used in pharmaceutical, foodstuff, chemical and other industries. The process of mixing, granulating and drying can be totally completed by the fluidized granulator.